Color plays a fundamentally imperative character in the world in which we exist. 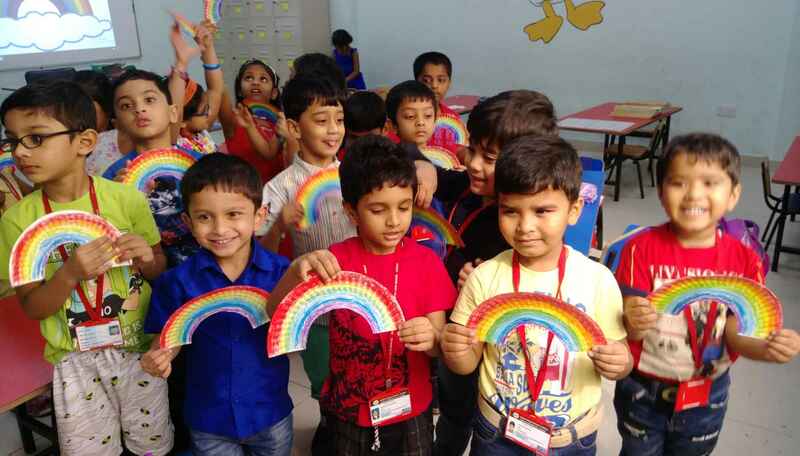 Color can sway thinking, change actions and cause reactions. 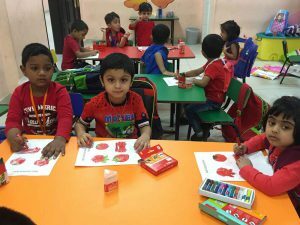 At Bhavans SIS, the Kindergarteners begin their year with an introduction to the world of colors which helps to create the cognitive link between visual clues and words. 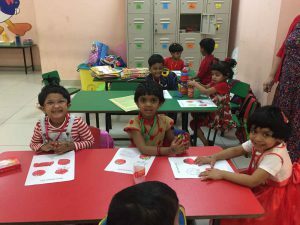 The ability to identify colors is considered a marker and milestone in a child’s cognitive process and is often part of early screening for development and educational admittance. 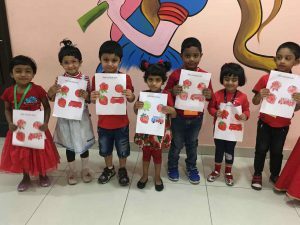 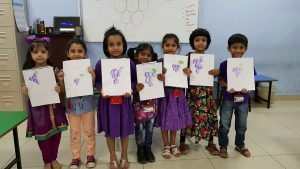 The teachers at KG1 premeditated activities and presented different kinds of flashcards geared towards teaching the kids about the primary colors. 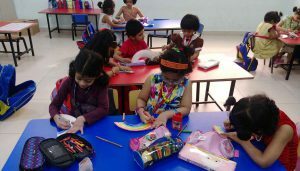 The kids squirted a few dabs of various colored paints onto paper, an activity well engaged. 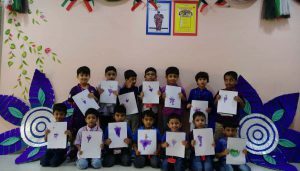 At KG2 the little inquisitive kids experimented the process of mixing different colors that amazed their imagination from the result of creating secondary colors through the same. 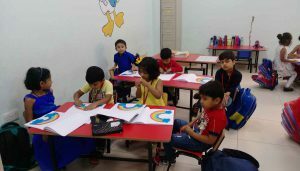 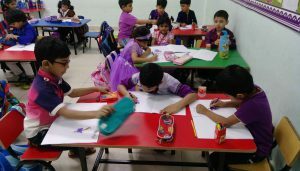 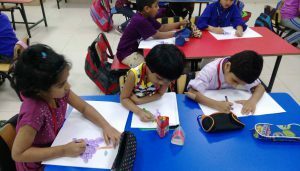 These kids mastered basic color concepts and learnt the subtleties of shades. 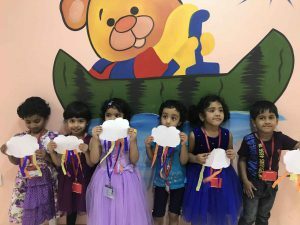 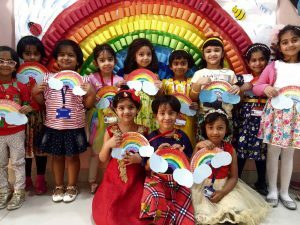 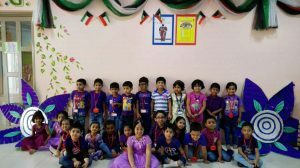 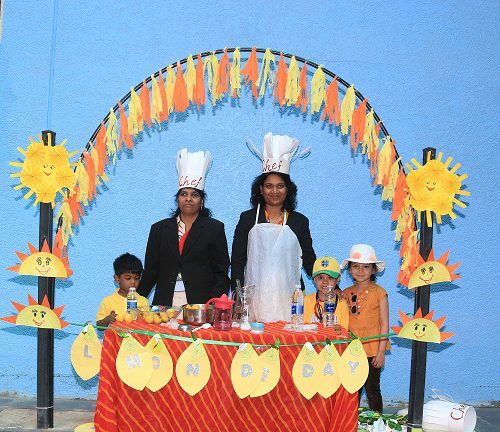 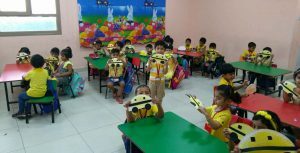 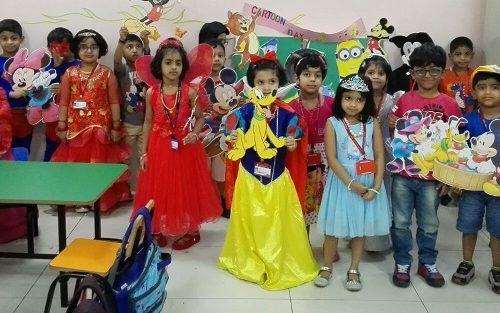 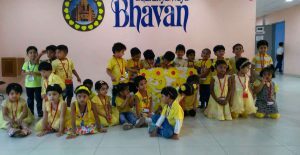 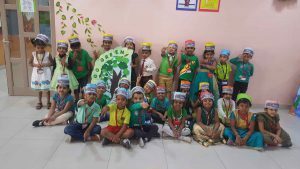 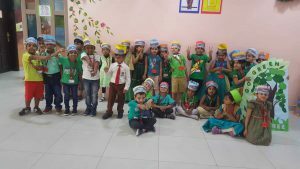 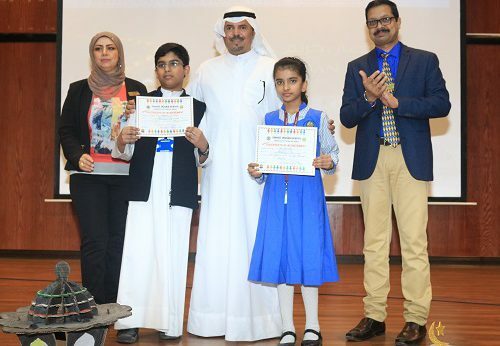 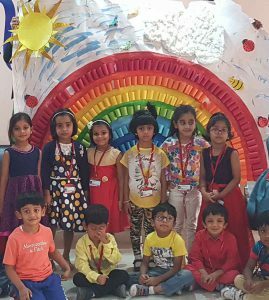 The Rainbow Day celebrated the eminence of the kids’ joy of coming to school in vibrant colors of the rainbow and crafting one with sheets and colors. 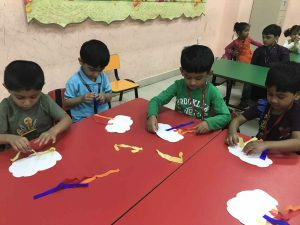 The children who were exploring and playing with colors were actually having their basic skills like color recognition, matching, color concentration being developed. 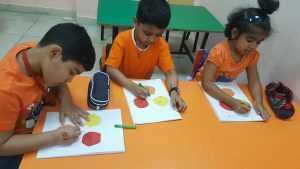 Focusing on one color over the course of one week was quite helpful for children to understand and differentiate the colors better. 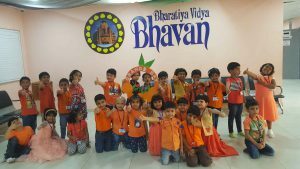 Next Bhavan’s Swarsandhya gets singers swaying.